Metrorail, Metrobus and MetroAccess are all back to normal Wednesday, but some delays are possible, and Amtrak remains operating on a modified schedule. Metrorail: Regular weekday service has resumed. However, remember that the current SafeTrack surge remains in effect on the Blue and Yellow lines. SafeTrack shuttle buses are running again between Franconia-Springfield and the Pentagon. Metrobus: Metrobus was scheduled to begin the day on a moderate snow service plan, but WMATA said early Wednesday that Metrobus had actually resumed regular weekday service. However, adjustments and delays may be possible on isolated routes due to road conditions. 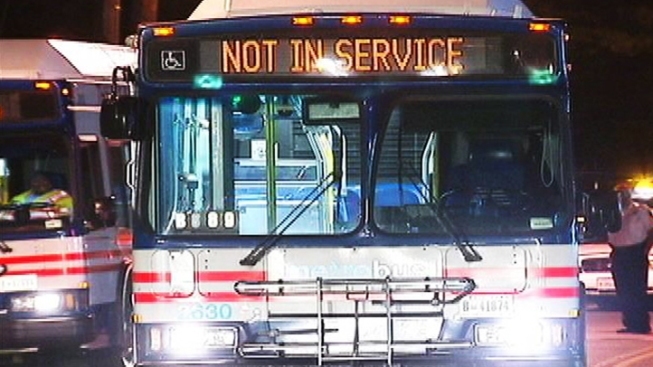 MetroAccess: Service for customers with disabilities has been restored. The MetroAccess reservations call center reopened at noon Tuesday so customers could schedule rides. However, Metro warned that some trips may be delayed due to snow and ice. Acela Express and Northeast Regional trains are running on a modified schedule between New York City and Boston, with some trains truncated or cancelled. Acela Express and Northeast Regional service between New York City and Washington, D.C., will continue to run on a modified schedule with some trains truncated or cancelled, including some trains in Virginia. The Vermonter, Keystone Service, and Empire Service will also run on a modified schedule, with some trains truncated or cancelled. The Downeaster and Springfield Shuttle will resume scheduled service.